Nowadays, In this moderm world, the demand of android device have become so rampart. We are all aware that the android smartphone is now one of the most valueable smartphone to various individuals. Today's stroll, I would be breifing you on how to take a photo of someone trying to unlock your android phone. Keeping your android phone safe is quite a reasonable idea, as we all know that android phones now serves as a mini computers in which all vital documents and files are being stored. 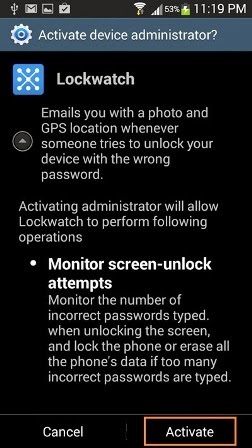 Previously, we discussed a related fact on how to lock your android device with finger prints lock mode, and I know quite some users would be enjoying the app features. Well this tutorial am about to brief you is of more advanced security mode than the previous. Take a deep breath in and out and feel relaxed as I take on this tutorial. 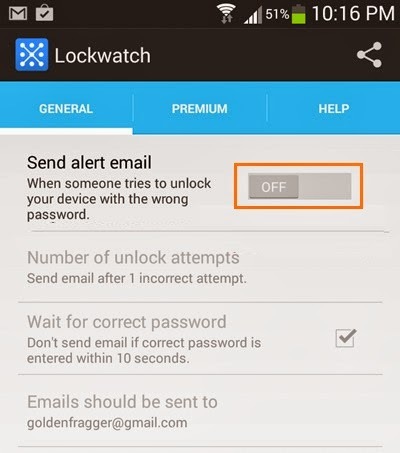 With Lockwatch app, I garantee the security mode of your android device. 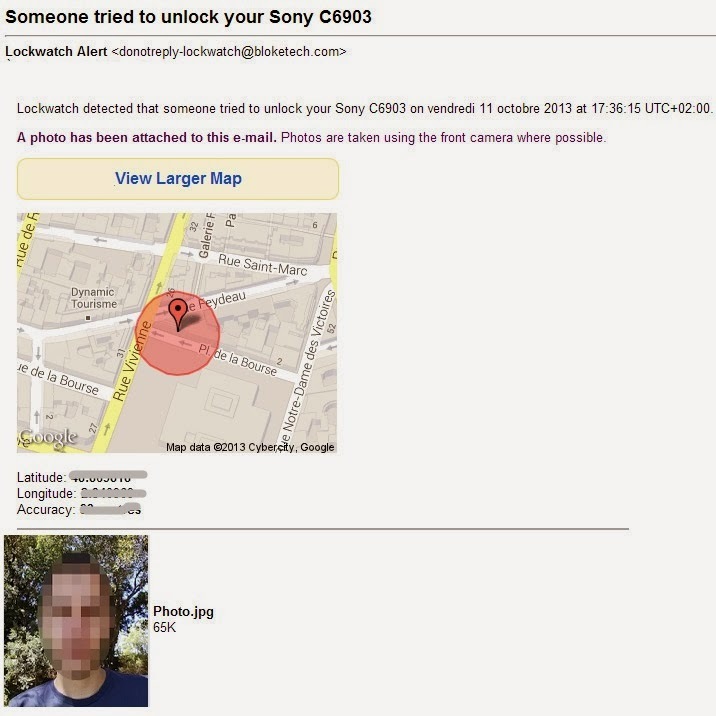 Actually, Lockwatch Anti-theft is a free android app that helps you capture secretly the image of someone that have tried several times to unlock your android phone and then emails you the image and the GPS location of that person. #1. 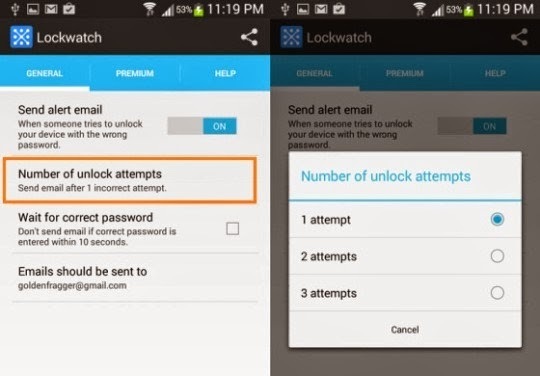 First download Lockwatch Anti-theft here or from your playstore and install. #2. After installation, then run the application and enable the send email alert option. #3. A notification pop-up would appear, then enable administrative access on the app by tapping Activate. #4. After the third stage, you would notice a section where you are to select the Number of Unlock attemps, then set the number of attempts you desire to set, then any hour the attempts are being exceeded, you would recieve an email notification. #5. Then enable the Emails should be sent option, enter your valid email address and tap Ok. Kudos. 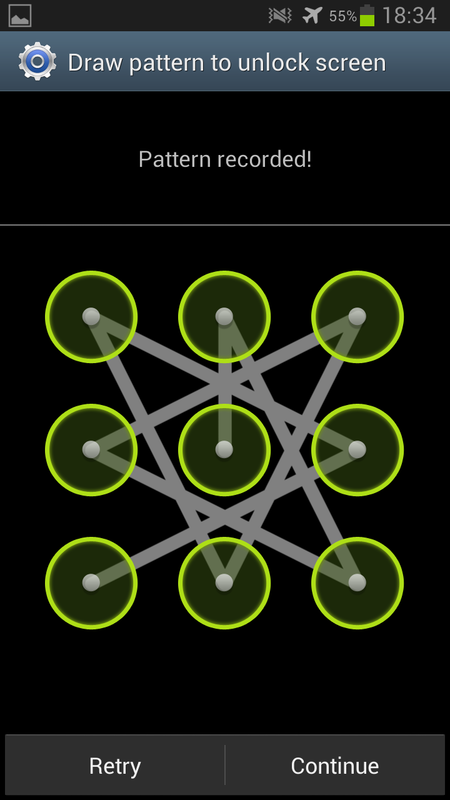 Your Lockwatch Anti-theft app is successfully set, and know your android phone is in full security mode. Now, you would get every detailed information of whosoever attempts to unlock your android phone without your permission. 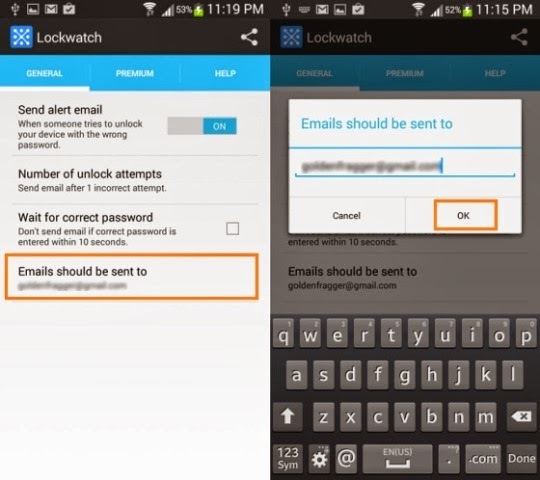 Below image shows you how the email notification would be sent if your phone is under illegal attempts. Note: This application would work only if your internet connection is active, to help email the Gps location and photos to you, and it works on android phone of operating system 4.0.3 and up. If yours is below, then upgrade the operating system version. Chiboy pls help me out my Galaxy s3 is pressing itself everytimes am making use of it, and also use to flash itself every two weeks, the phone flashed itself this morning and the worst thing now, it can't install some of the apps i've already installed on the phone before it deleted them. I nid ur help sir. Pls how can I root my tecno S5?